As I told you in my latest post, I was waiting for my Lush Christmas package to arrive for over two weeks but I received it as I was writing the post so I couldn't include it in that one. That's why I decided to a seperate small haul post to show you what I got! Since we don't have Lush stores in Greece, I always order through their UK site. It's a tradition of mine to buy some of their Christmas goodies since 2008, I've done several orders within these years, not only at Christmas time, I've tried lots of their products, some of them were hit and miss. I start with the soaps because I believe that Lush has some great ones, and I'm more of a soap person myself! I first tried Snowcake back in 2008 and I was immediately hooked, since then I buy it every single year. It's a super creamy and moisturizing soap, in my opinion the creamiest Lush soap I've ever tried. It smells like almonds, it has that gorgeous festive marzipan scent which I love. 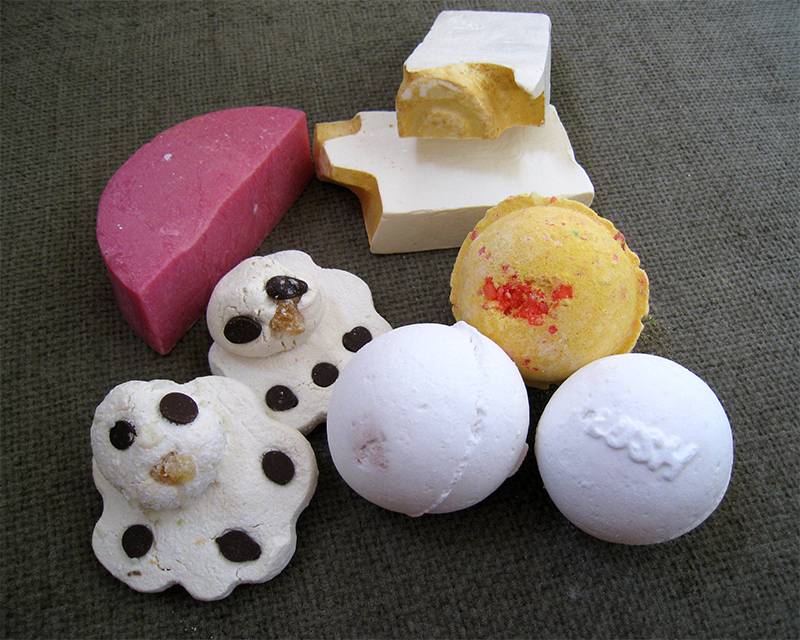 If you could buy only one thing from Lush Christmas collection it should be that one! This soap was a new addition to Lush Christmas collection, I haven't tried it yet to test if it's creamy or not. 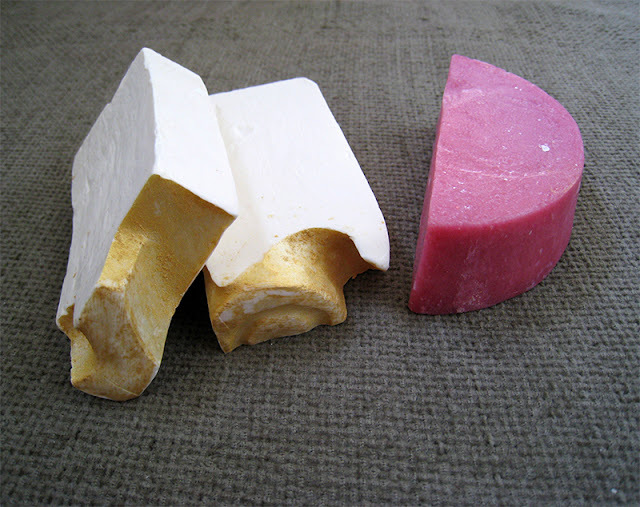 I got the pink side of the soap, there's a white one too which smells more woody, the pink one has a minty-chocolate scent which I find very refreshing! 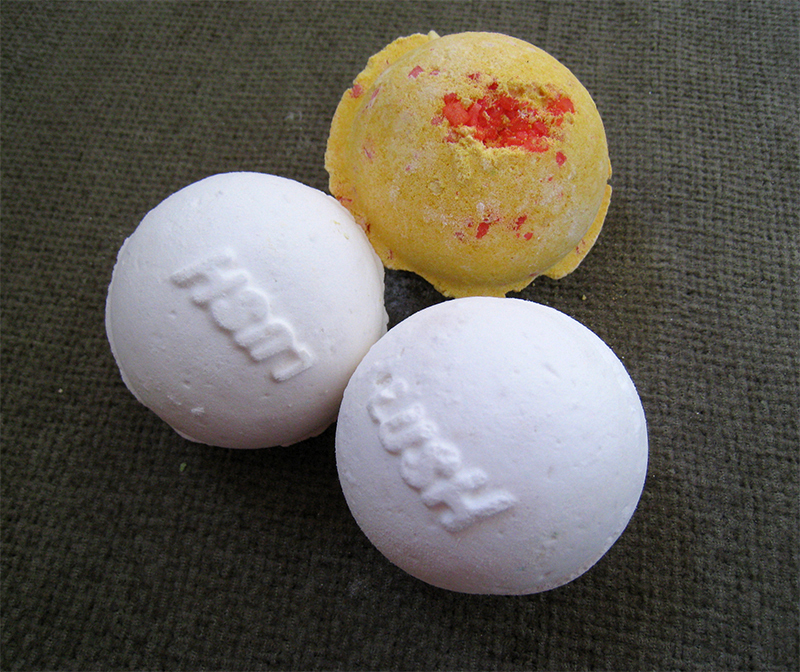 I don't usually use bath bombs but when I do I like vanilla and spicy scents the most. Cinders has a spicy cinnamon scent, but it's not very moisturizing, it's mostly used for its aroma. These on the other hand are very moisturizing and smell like vanilla! I don't use the whole thing at once, maybe just the 1/4, depends if I use it for my body or just my feet for pedicures. 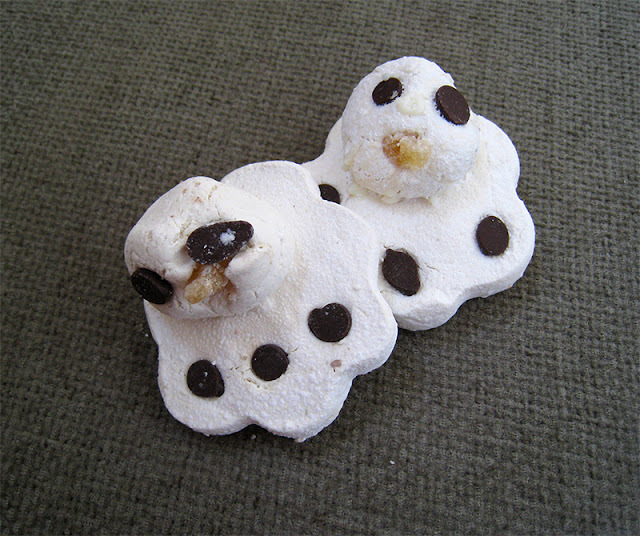 I love how these look exactly like melting snowmen, with eyes made of chocolate chips and nose made of brown sugar! These are bath melts, which means that they do not fizz when you put them into the water like bath bombs do, they just melt. But they're 100% more mosturizing than bath bombs, they're like butter, and you only need a tiny bit of this. The reason why I got two of them, is because they smell exactly like Snowcake soap, pure marzipan! Well that was my small Lush Christmas haul, I hope you liked it. It's a pity that we don't have Lush in Greece and I have to order through their UK site, with not so econimical shipping rates, but once a year I like to pamper myself with these goodies, in my opinion they worth it! It is a bummer because they have some great products, not only for body care but also for skincare, Ocean Salt is a fave of mine! I really hope we'll have a Lush store in Greece one day, I so want to try these! I really hope so too, maybe one day who knows!